The Best of Teacher Entrepreneurs III: FREE MISC. 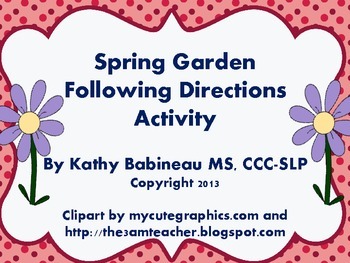 LESSON - "Spring Garden Following Directions Activity"
FREE MISC. 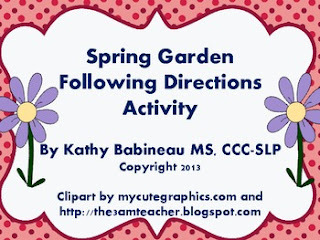 LESSON - "Spring Garden Following Directions Activity"
Concept words include: First, Second, Third, Fourth, Fifth, Sixth, Last, All, Below, Center. And....if you like this, here's a full year of following directions activities - theme based for every week of the school year!